British Prime Minister Theresa says she will ask the European Union for a short extension to the Brexit negotiation period and will sit down with opposition Labour Leader Jeremy Corbyn in an attempt to break the impasse in Parliament. British Prime Minister Theresa May said Tuesday she will ask the European Union for a short extension to the Brexit negotiation period and will sit down with opposition Labour Leader Jeremy Corbyn in an attempt to break the impasse in Parliament. May made her televised address after seven hours of cabinet meetings on Tuesday in an attempt to plot a course out of the Brexit maelstrom as she comes under pressure to either leave the European Union without a deal or call an election. "So we will need a further extension of Article 50, one that is as short as possible and which ends when we pass a deal. And we need to be clear what such an extension is for, to ensure we leave in a timely and orderly way," May said from her office in Downing Street. "Today I am taking action to break the logjam. I am offering to sit down with the leader of the opposition and to try to agree a plan that we would both stick to ensure that we leave the European Union and that we do so with a deal." Should that fail, May said, a series of votes would be held in the House of Commons to determine "which course to pursue" as to the future relationship with the EU. The deadlock has already delayed Brexit for at least two weeks beyond the planned departure date of March 29. 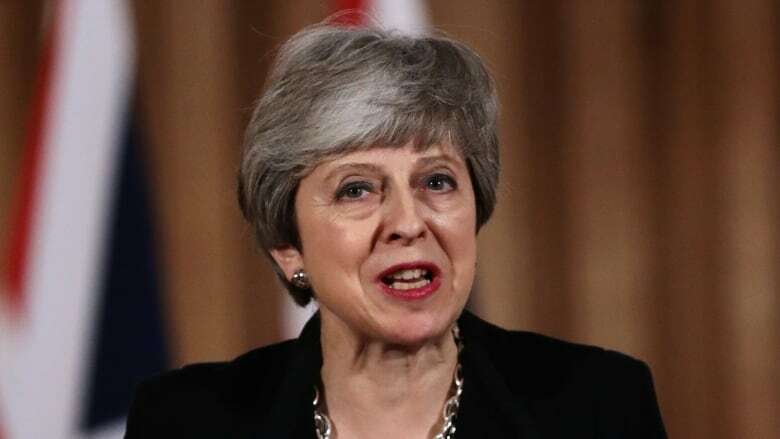 May said the timetable was to secure a deal by May 22 "so that the United Kingdom need not take part in European parliamentary elections." The move by May offers the prospect of keeping the United Kingdom much more closely tied to the EU after Brexit, as Labour has called for a continued customs union with the EU and a close relationship with the EU's single market. Corbyn welcomed the offer but warned he reserved the right to try to bring the government down if it is incapable of getting a majority in Parliament. "We hold in reserve the right to bring a motion of no confidence in the government if the government proves it's incapable of commanding a majority in the House of Commons — time will tell on that," he said, adding Labour would try to block a no-deal Brexit. "Our responsibility as the opposition is to make sure that we don't crash out," he said. 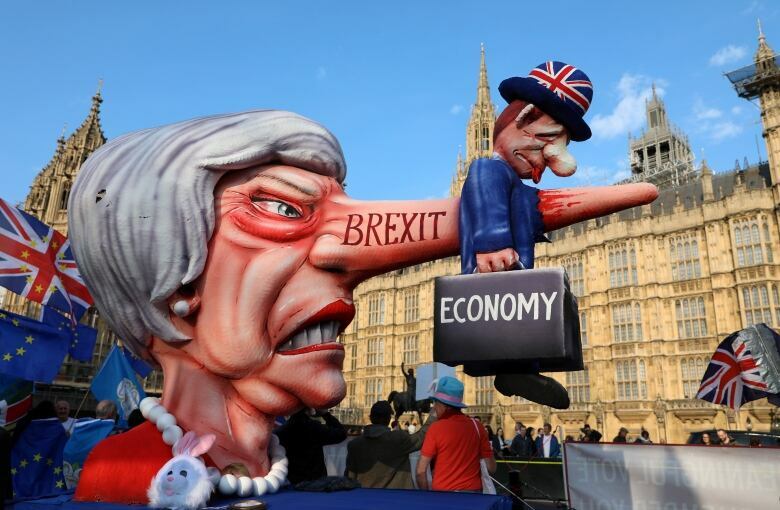 May's deal has been defeated three times by the lower house of the British Parliament, which failed on Monday to find a majority for any alternative to her deal. May said any plan would have to agree to that withdrawal agreement, emphasizing that the EU has said it will not re-open negotiations. 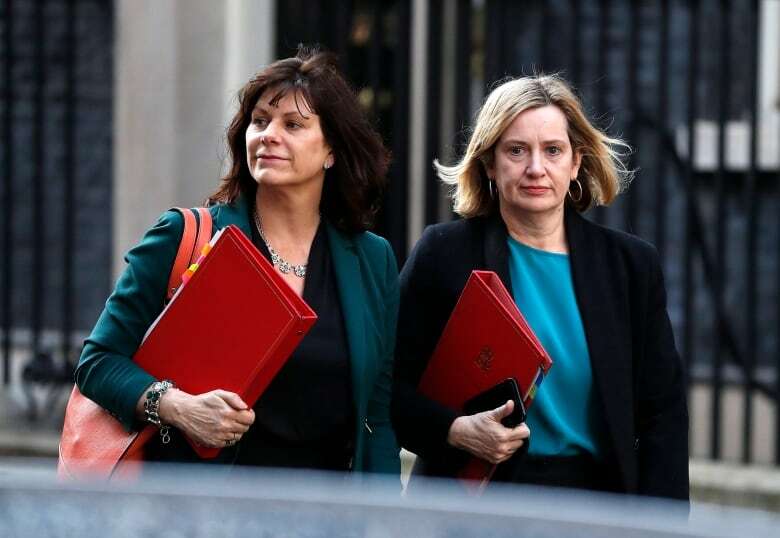 Euroskeptic hardliners in her Conservative Party prefer clean break from the EU, though some have been assuaged by commitments she's made recently, including promising to step aside as leader if her Brexit deal were to be passed. The chairman of EU leaders Donald Tusk stressed "patience" in a tweet immediately following May's address. Earlier Tuesday, EU chief Brexit negotiator Michel Barnier said in Brussels that a no-deal scenario was becoming more likely. The third defeat of May's withdrawal agreement on Friday — the date the United Kingdom was originally scheduled to leave the EU — has left the weakest British leader in a generation facing a spiralling crisis. In Paris, French President Emmanuel Macron said that if nearly three years after the referendum the United Kingdom was incapable of coming up with a solution, "it would have effectively chosen a no-deal exit on its own." Speaking at the Élysée Palace alongside Irish Prime Minister Leo Varadkar, Macron said it was for Britain to decide whether the plan involved new elections, a referendum or a customs union. "It's up to London to say it, and to say it now," he said. A no-deal Brexit would push up food prices by 10 per cent, force direct British rule in Northern Ireland and compromise national security, according to a letter by Britain's top civil servant, Mark Sedwill, quoted in the Daily Mail. The option which came closest to getting a majority in Parliament on Monday was a proposal to keep Britain in a customs union with the EU, which was defeated by three votes. A proposal to hold a confirmatory referendum on any deal got the most votes, but was defeated by 292-280. Barnier said the EU was ready to accept Britain staying in the EU's customs union or a relationship akin to the one the EU has with Norway. But May is boxed in by different factions: half of her lawmakers voted for a no-deal Brexit last week while just 37 voted for the customs union option on Monday and 15 for a confirmatory referendum.